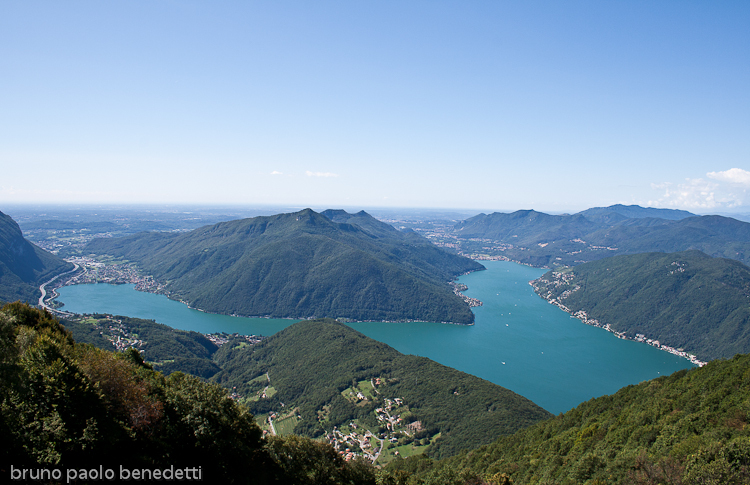 view of lugano lake from mount Sighignola, in Lanzo d’Intelvi. The left with mendrisio is in switzerland, end of the lake. On right branch, is Italy with porto Ceresio. On the Horizon the plain with Milan.